Campus Interaction is part of PreludeSys India Ltd. Campus Interaction is all about monitoring students foot print. We do this using our online web and mobile portal. Colleges can register on the portal for free and download the apps they prefer both on Web and Mobile. Several of these Apps are available for Free. Based on the usage of these Apps, we assess student's skill set and match against a Company's requirement. 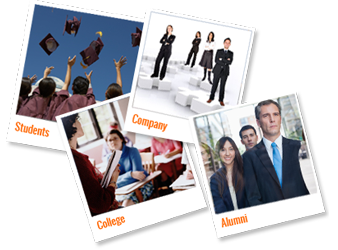 Campus Interaction has been used by more than 100 colleges in India and many companies to hire best brains from the campuses. Click Here to view a product demo and to learn how Campus Interaction can help streamline your campus management.